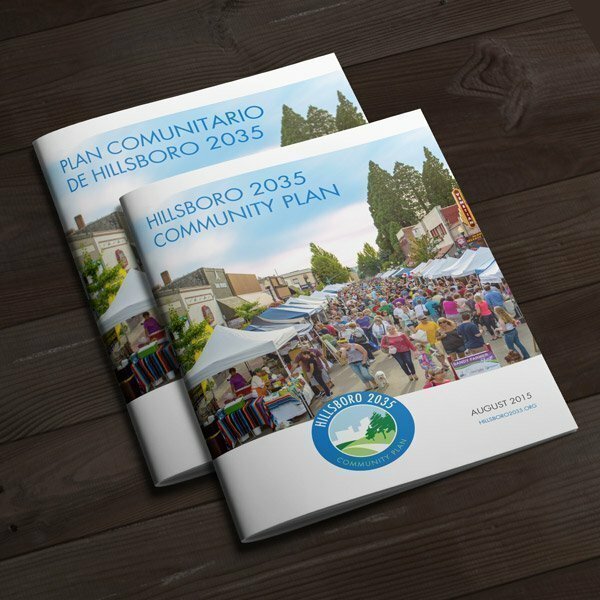 Mad Bird Design worked with the City of Hillsboro to create the signature resource guide for their community visioning program – the Hillsboro 2035 Community Plan. 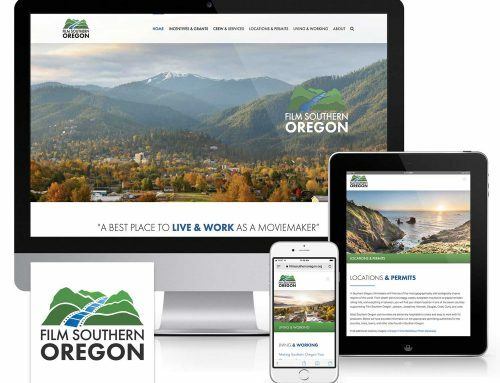 Book design was part of an overall rebranding and logo design effort, building on the successful legacy of the Hillsboro 2020 Vision. The new plan was produced in English and Spanish, and earned national recognition and compliments for the city, including the International Association for Public Participation’s (IAP2) Organization of the Year award for exemplary public process in 2016. Hillsboro’s long-standing visioning program serves as a model of public participation throughout the United States and abroad. 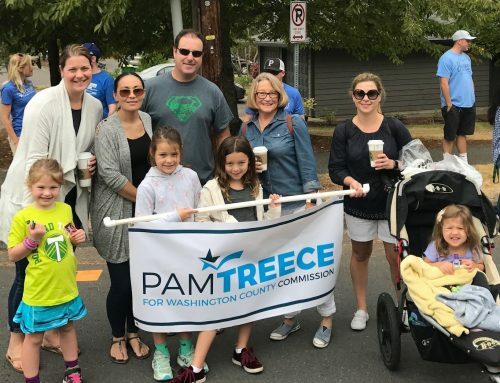 Mad Bird Design has produced an array of materials to support the Hillsboro 2020/2035 Vision, including branding the Imagine Hillsboro 2035 public outreach initiative, graphic design and layout of the Hillsboro Community Profile, video production, community event displays and materials.